COLLINGWOOD defender Nicola Stevens has won the Magpies' AFL Women’s best and fairest at an awards ceremony at the MCG on Wednesday night. 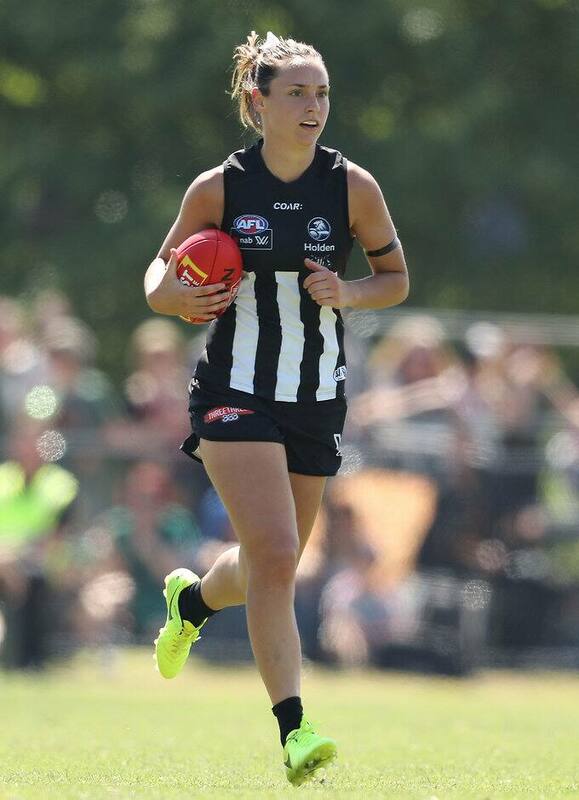 Stevens, who was selected by the Magpies with pick No.6 in last year's NAB AFLW Draft, finished on 58 votes ahead of vice-captain Alicia Eva (54) and Jess Cameron (39). The 24-year-old defender was also named in the Virgin Australia AFLW All Australian team on Tuesday night. Magpies coach Wayne Siekman and assistants Nikki Harwood, Brendan Major and Harmit Singh allocate up to 22 votes each per game and players can receive a maximum of four votes from each voting member. Eva was named the players' player, while marquee forward Moana Hope took out the club's leading goalkicker award with seven goals.